After failing to topple No. 1 Tennessee in a close loss on Saturday, Alabama bounced back with a dominant 74-53 home victory over No. 20 Ole Miss on Tuesday night. In the win, the Crimson Tide displayed a quality that has alluded it at times this season: consistency. Coming off of a season-high 30 points against the Volunteers, John Petty Jr. picked up right where he left off against Ole Miss, scoring 12 points on 5-of-6 shooting in the first half. Petty has settled into his role as a sparkplug off the bench for Alabama in recent weeks, averaging 18 points over his last four games. 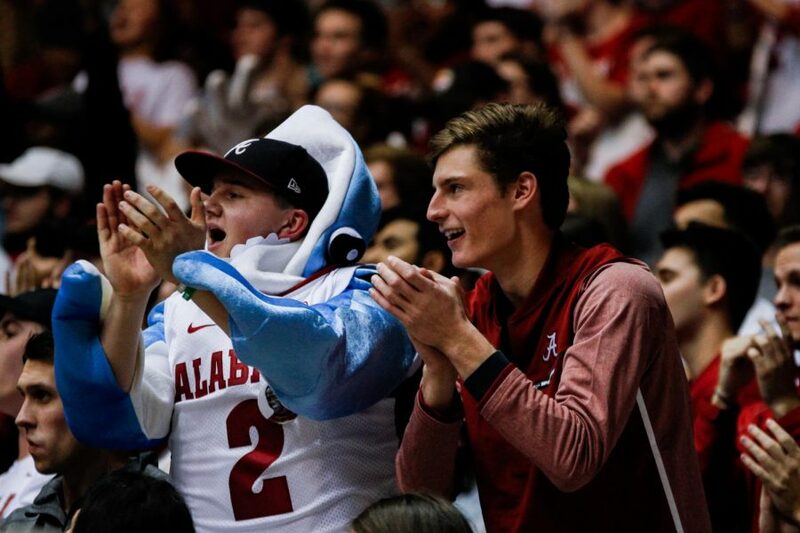 While Petty and Alabama’s offense was operating at a high-level in the first half, it was the Crimson Tide’s suffocating defense and work on the glass that helped it build a 42-26 halftime lead. Having allowed big first-half leads to vanish several times this season, Alabama was determined to come out of the locker room with the same energy it used to gain the lead earlier in the game. To motivate his team for the second half, Johnson turned to film of a loose ball that his team clawed and scratched to gain possession of in the first half. “We watched a little film where all five of us was on the ground for a loose ball, so that gave us a little energy to come back out and do the same thing,” Donta Hall said. Although Petty cooled off after the break, scoring only three more points for a team-high 15 total, the Crimson Tide extended its lead over the Rebels with continued effort, especially on the glass. Alabama shot just 38 percent from the field, but roped in a season-high 20 offensive rebounds. Donta Hall led the rebounding effort for Alabama yet again, recording his fourth straight double-double with 11 points and 10 rebounds. It was Hall’s SEC-leading 10th double-double of the season. Alabama executed an aggressive defensive game plan throughout the game, forcing the Rebels to turn the ball over 16 times. Ole Miss’ carelessness with the ball limited it to well under its average of 79.4 points per game. To make matters worse for the Rebels, its second leading scorer, leading rebounder and leader in assists, Terence Davis, fouled out with nearly 16 minutes left in the game. Any chance for a comeback was extinguished with his early exit. Alabama (12-6, 3-3 SEC) will play Baylor (12-6, 4-2 Big 12) on the road Saturday at 11 a.m.